Large stock of GIA and HRD certified stones at competitive prices, from 30pts to large stones in rounds and fancy shapes. 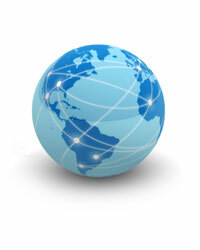 Reliable and consistent international buying service. We will find the right goods for you at the best prices, so that you can concentrate on your selling activities. Brokerage service on the Antwerp market. You can buy in our Antwerp office polished goods from the entire market, compare prices and qualities, and select the right goods at the best available price. Our Shanghai sales agent Mr Tang Yao takes care of the contacts with our customers in mainland China. Our partner Mr. Jakub Bizon handles the Polish market. He has more than 10 years experience as precious stones and metals expert, is diamond investment coach, and author of press releases about diamonds. Rick Uytterhoeven entered the diamond business in 1986. He studied diamond grading at the HRD Institute of Gemology and managed the polished departments of Sussholz Diamonds and Stelman IDD. He is a member of Antwerp's Diamond Bourse ‘Beurs voor Diamanthandel’, and started his own company Antwerp Diamond Partners BVBA in June 2009. Luc has a degree in business administration and information systems. He has 10 years experience in the diamond business in administration and sales of polished for Antwerp companies. He manages the administration and local market sales of Antwerp Diamond Partners.